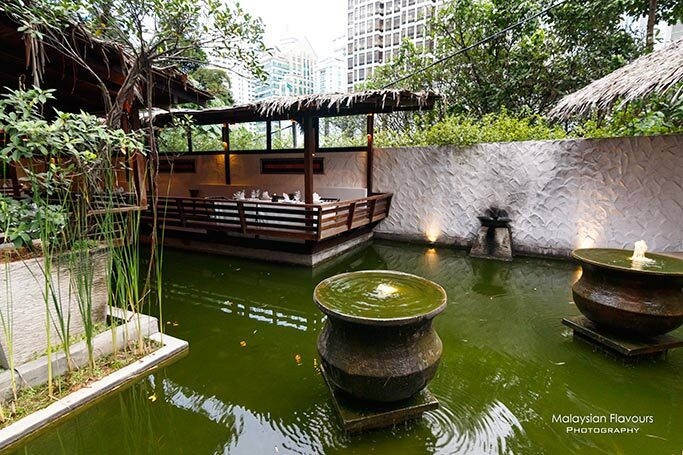 Before visiting NEO Tamarind at Jalan Sultan Ismail Kuala Lumpur, we never realise there are two beautiful restaurants by Samadhi Retreats which is well-hidden within the bustling KL city filled with skyscrapers. 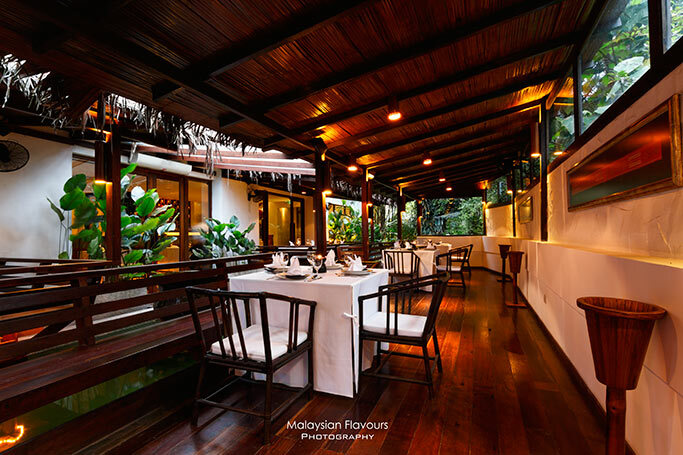 While NEO Tamarind (Read HERE) focuses on NEO-experience, combining creative Asian, Thai and Indochinese cuisines with European picks within a cutting edge, modern contemporary settings, Tamarind Hill on the other hand, serves fine Thai-Burmese with fusion touch in an elegant, splendid interior that highlights Thai decoration. 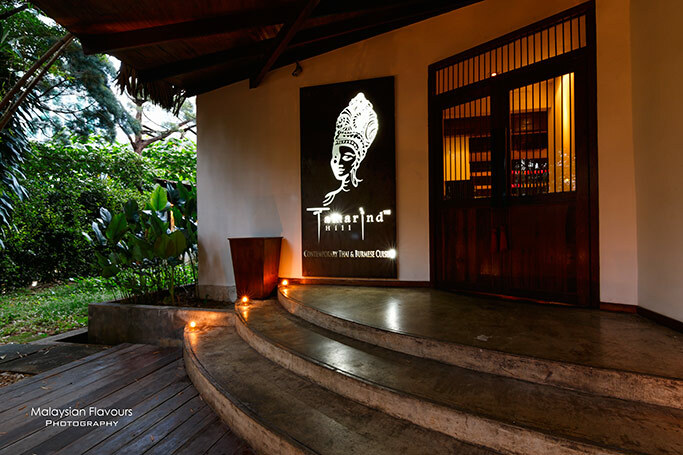 This festive season, from 15th December 2014 till 4th January 2015, Tamarind Hill will churn out a special menu that covers a total of 12 dishes from appetizers to soups, main courses and desserts. 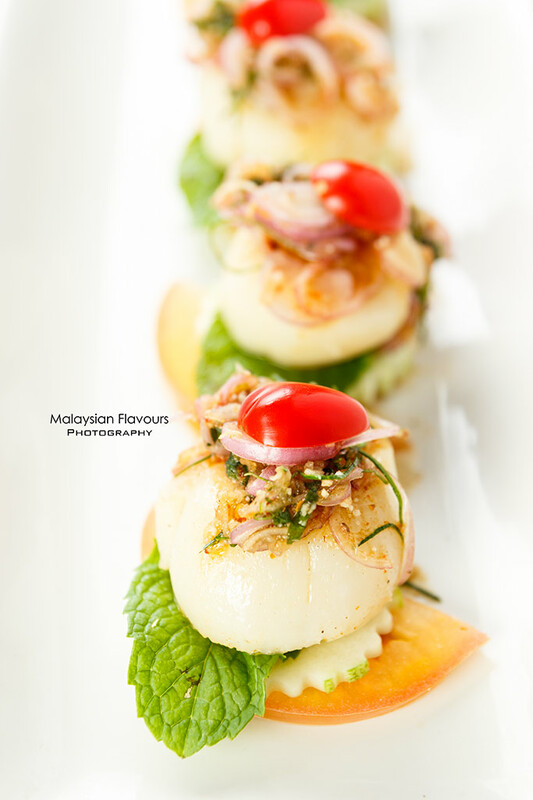 Huge scallop beautifully grilled to slightly charred at the edge, locking in juiciness, flavoured up with spicy and tangy dressing mixed from shallot, lemongrass, and other herbs. Laid on sliced cucumber and tomato that clocks in just right for refreshing balance. 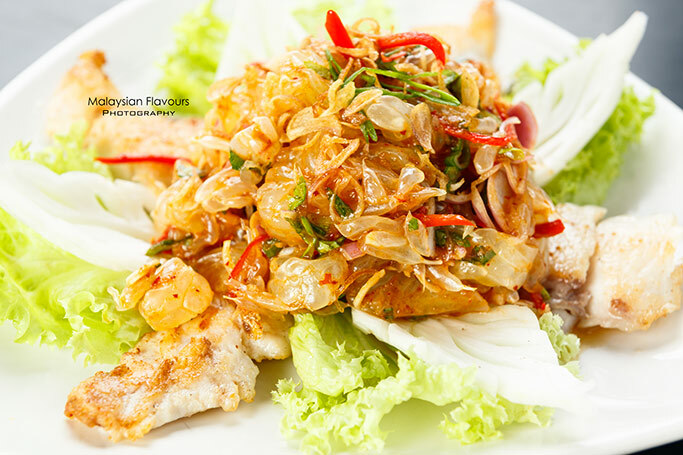 We love this starter brimming with popping sweetness from pomelo sacs, coupled with appetizing dressing that highlights Thai classic flavours- a sweet, sourish and mild spicy concoction. Sided with pan seared cod fish for protein goodness. 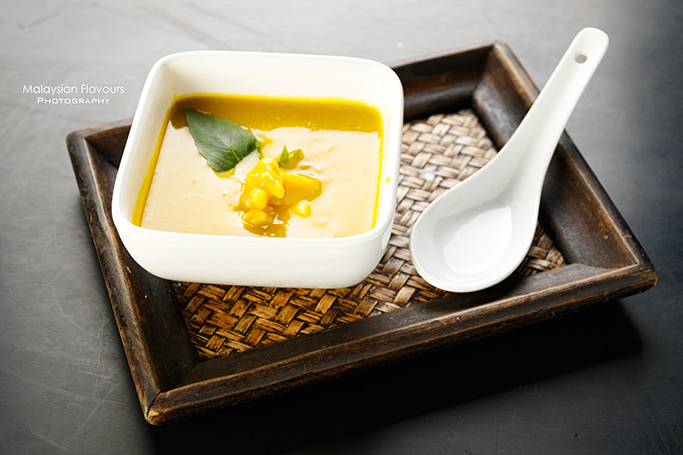 Velvety smooth pumpkin, cream base soup lingered with aroma of basil leaves, mild spicy aftertaste. Chef throws in some pumpkin cubes and chopped seafood for extra bites. A little salty to our liking. A cross between Christmas essential turkey with Thai recipe. Rolled and roasted, the turkey is then dressed in a bed of rich, flavourful Massaman curry, a traditional curry originated from Southern Thai. 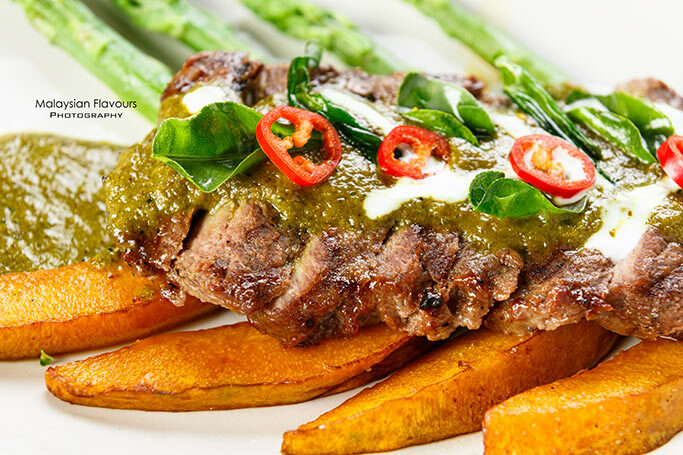 No, it is not fiery hot, but relatively subtle in spiciness with deep flavours of herbs & spices. 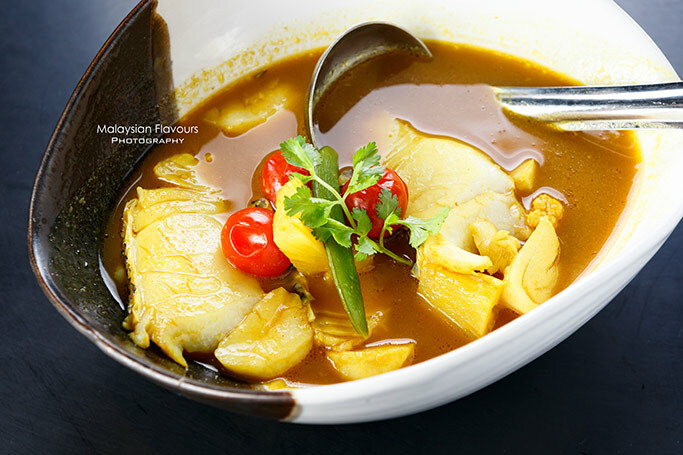 Since seafood is a common dish on Thai or Burmese restaurant’s menu, the different cooking methods turn important, same goes to the gravy. 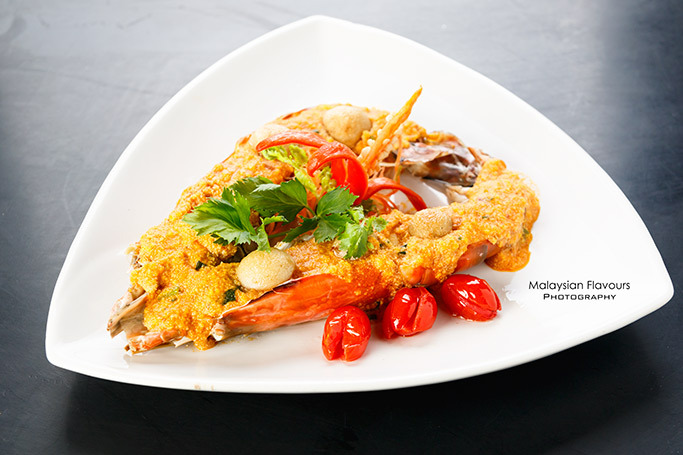 Tamarind Hill’s Steamed River Lobster with Salted Egg is the clear winner among all the four dishes- fresh, bouncy and meaty, generously topped over with creamy salted egg sauce. 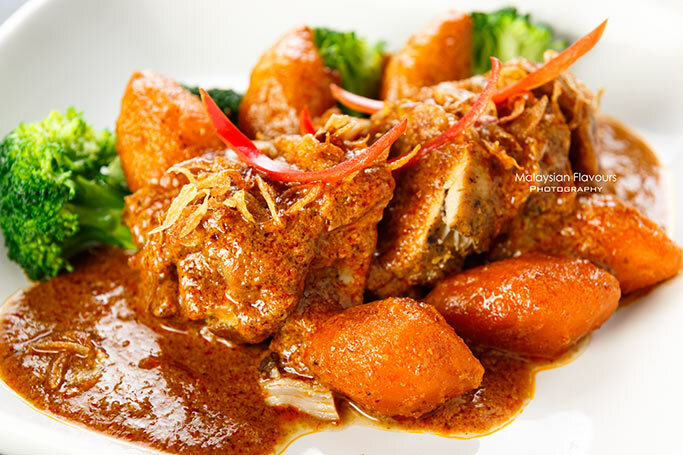 Tender cod fillets sit in cloudy, orange-colour gravy that lives up to its name- sour and spicy. Douse the gravy with fragrant rice, you can polish clean two bowls of rice. 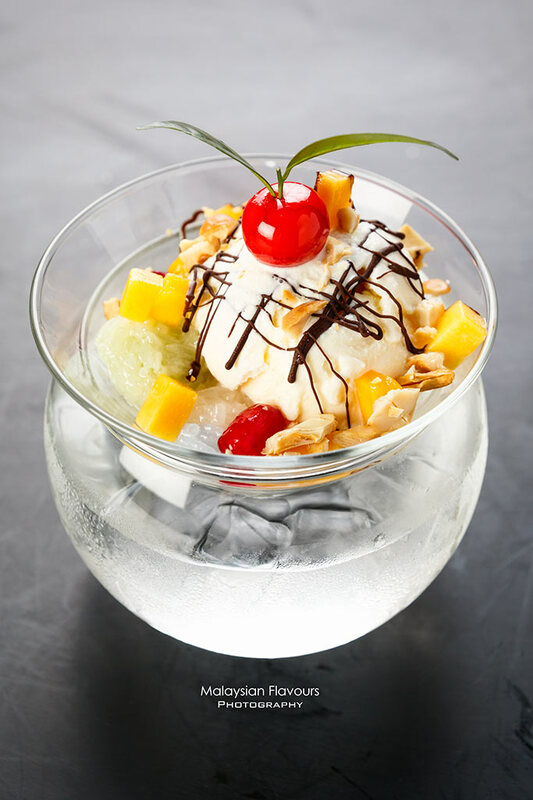 End your meal at Tamarind Hill with innovative desserts specially crafted by the kitchen team. 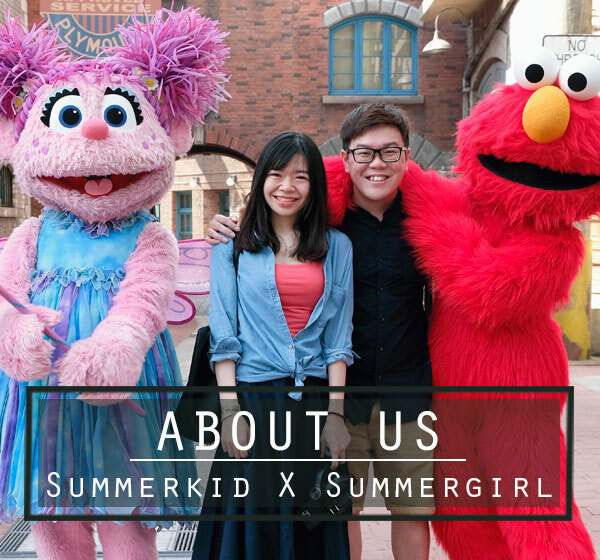 Clearly, the choices are not mainstream, more than just Mango Sticky Rice and Tab Tim Krob. 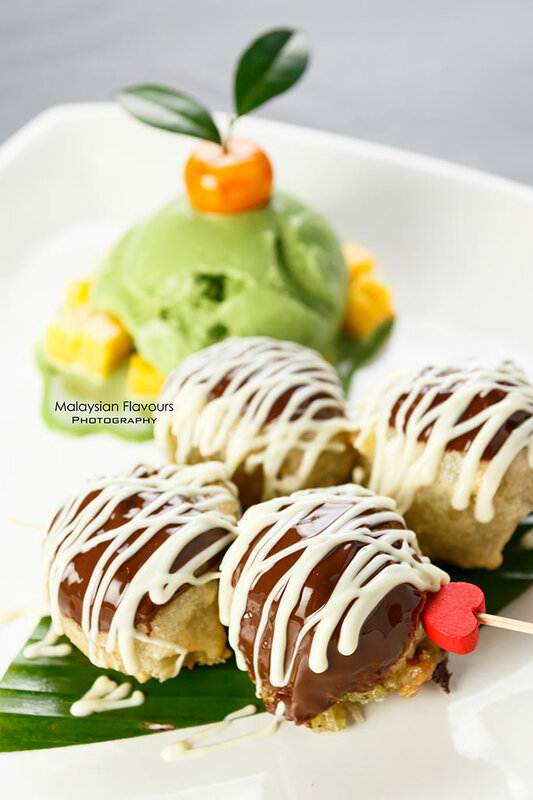 Our favourite dessert that is Western, Thai and Japanese inspired. Lots of textures and flavours in one mouthful- Sweetness from chocolate, softness from banana, crunchiness from grated coconut and bitterness of green tea. All surprisingly comes into good marriage, pleasant to the palate. 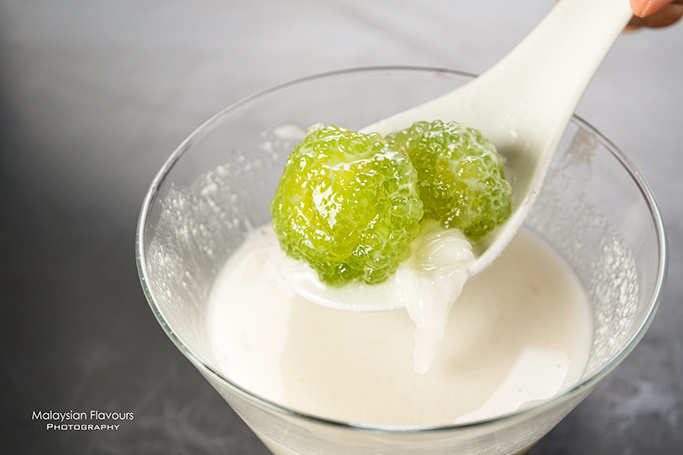 Bite through the chewy ball made from sago, we expect mushy liquid-style filling to ooze out. But what welcomes us is crispiness of chesnut nestled inside. Have it with coconut milk, simple dessert can be great. 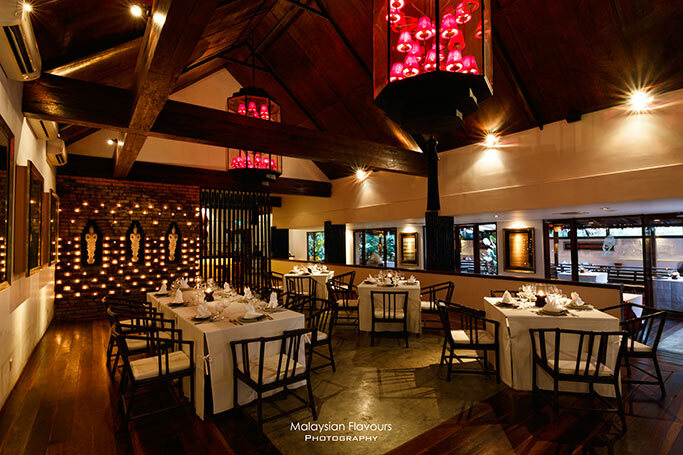 Book your table today and enjoy a diverse of Thai-Burmese flavours at Tamarind Hill this coming Christmas and New Year.